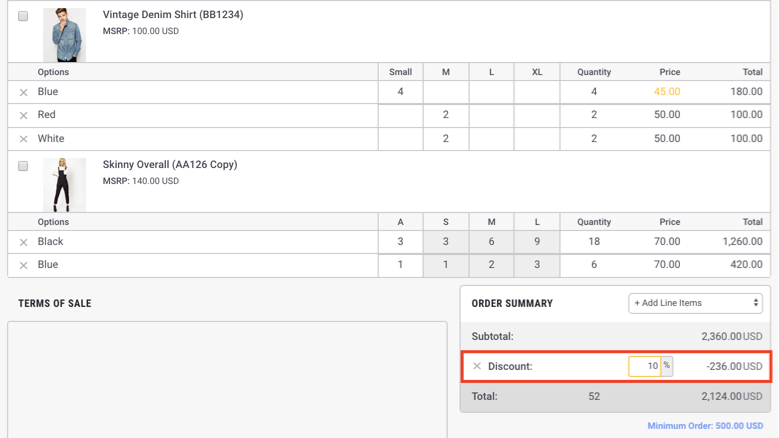 You can manually enter a discount for individual products within an order or apply a discount to an entire order. 1) Create an order for your buyer or select an Open order. For for information on writing an order for a buyer, see this article. 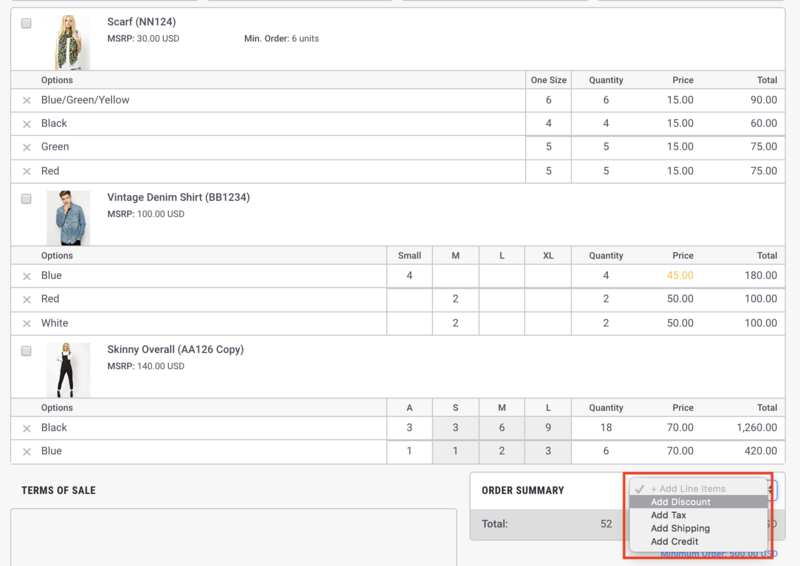 2) While viewing the order, click the price to bring up the discount options. 3) Set the discount percentage or the new price and hit Apply. If you want the discount to be applied to the entire order, select Apply All after entering the discount desired. You can also use Line Items to apply a discount to the entire order. 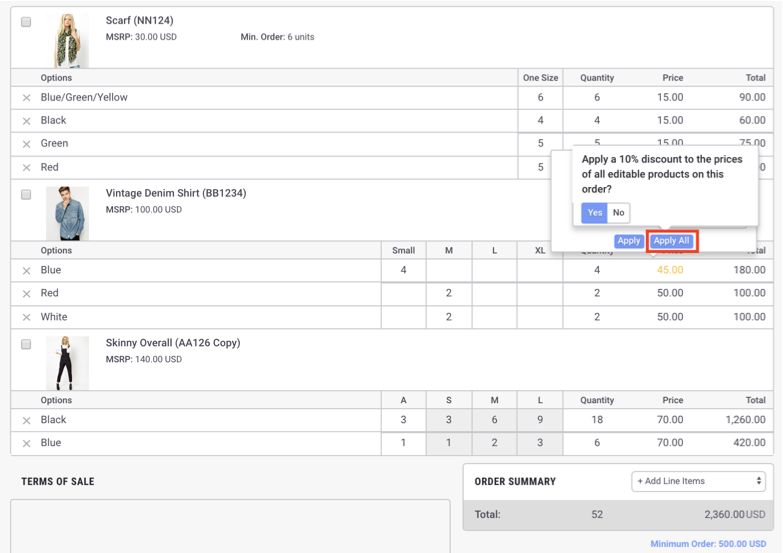 1) Click on the Add Line Items drop down arrow and select "Add Discount"
2) In the Discount box, enter the discount percentage you want applied to the order.